How I do print from an application such as my web browser without the colors? In OS X printing in grayscale takes a couple of extra steps that are not always obvious. Here is how to do it on your Apple computer. Updated to include information for OS X 10.7 Lion. 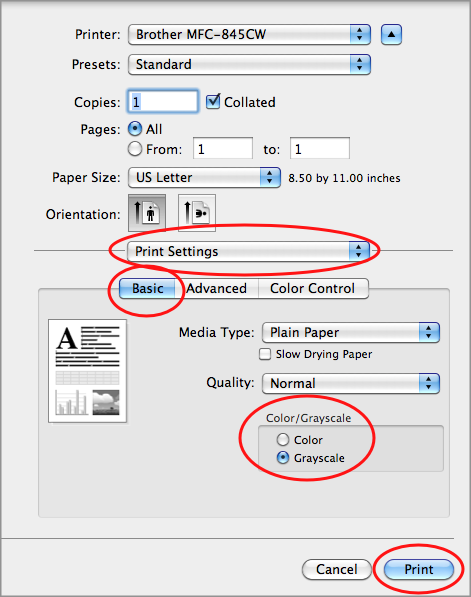 The key to printing in grayscale is to route your printing through the Preview application. Luckily, you can do this very easily via the print dialog box in any application. 1. Press Print frp, the application that you want to print. Typically it will be under the File menu. 2a. 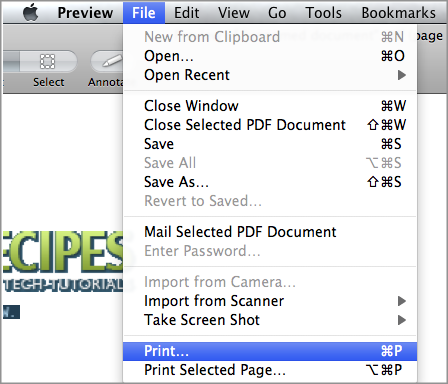 In OS X prior to Lion, press the Preview button in the Print dialog box. 2b. 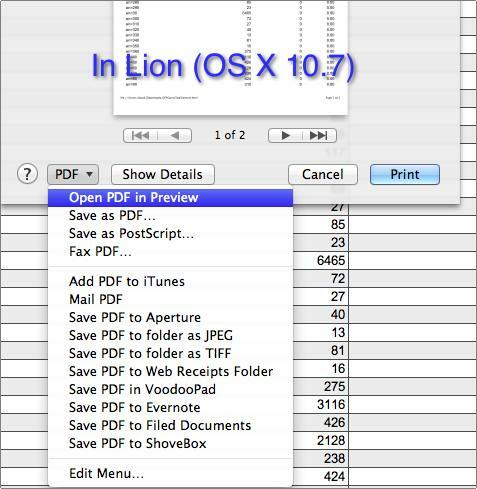 In OS X Lion, press the PDF button and then select Open PDF in Preview. 3. This will open the application in the Preview app. Click the app to bring it to the front and to enable the menus. 4. 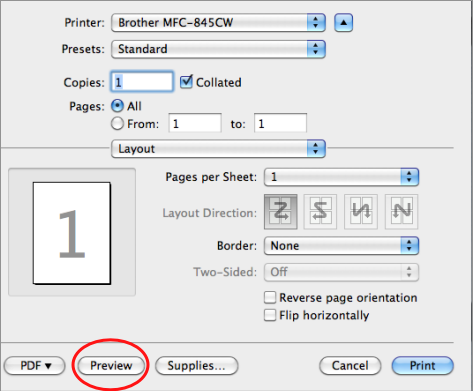 Select the File menu and then Print from the Preview application. 5. Under the Orientation setting there is a drop down box labelled Preview. Change this to Print Settings. Select the Basic tab and toggle the Color/GrayScale button to Grayscale. 6. Click the Print button. The resulting file will print without colors. Save that expensive color ink… black and white only, baby!